We're suckers for a good love story! 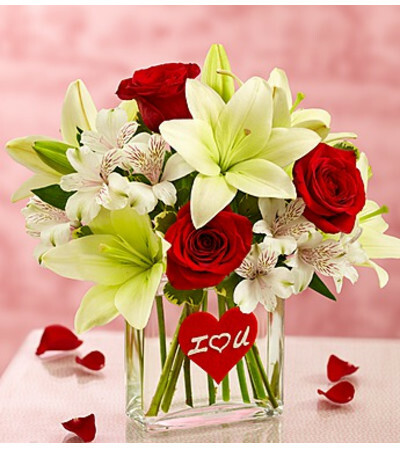 That's why our florists gather beautiful red roses with white lilies and more for the ultimate romantic surprise. 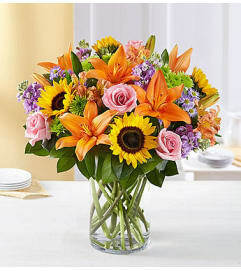 And if the flowers aren't enough to get the message out, our keepsake vase with a touching sentiment will help you express yourself straight from the heart. Stunning arrangement of white Asiatic lilies, red roses, white alstroemeria and variegated pittosporum. 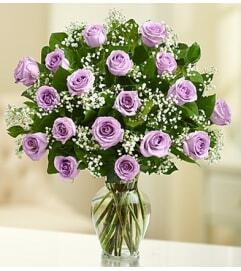 Arrives in a 6"H rectangle clear glass vase; features an "I Love You" felt heart.